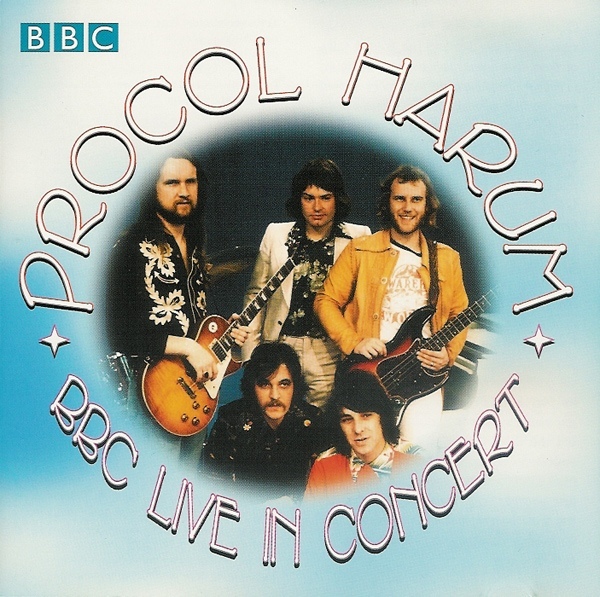 1974 was probably the last year Procol Harum had any marketplace to make a noticeable inroad. The five-piece group plus one lyricist had just come from a series of two financial and artistic successes (Live with Edmonton Symphony and Grand Hotel). New guitarist Mick Grabham was just starting to find his feet in the older Trower-based guitar arrangements and the group was promoting a new album, Exotic Birds and Fruit, which had more of a straight ahead rock approach than any album since Home. The BBC found these concert tapes in their vast (albeit somewhat disorganized) archive and decided to make this show from March 23rd, 1974 at the Hippodrome in London available. Over half of the show (six of eleven tracks) is from the new album. A distinct balance is struck between upfront rockers, (“Nothing but the Truth,” “Butterfly Boys” – a clever swipe at record label reps) and more basic ballads (“As Strong as Samson” and “New Lamps for Old”). The group was clearly on a tear with more aggressive tracks such as “Bringing Home the Bacon” and “Simple Sister” filling out the show. Probably the best tracks in the band’s set list are “The Idol” and the prog rock classic, “Whaling Stories.” Although the group will always be well known for their huge hit single of 1967, “A Whiter Shade of Pale,” this live presentation shows them to be a band with a much wider palette due in no small part to the vision of Gary Brooker and Keith Reid.